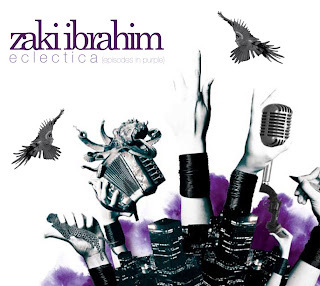 Born in Vancouver, BC and raised between South Africa and Canada’s West Coast, Zaki Ibrahim spent her life moving between two culturally diverse worlds, culminating in her debut album, Eclectica (Episodes In Purple). Zaki’s music is captivating and vibrant. It’s thick with poetics and steeped in a delicious mixture of earnest emotion and social commentary. With a full length album in the works, Zaki will continue to break new ground, challenge assumptions and step outside her comfort zone. Her philosophy of making connections based on a mutual admiration for expression, creativity and the power of words, directs Zaki’s path. Expect the unexpected as Zaki continues to grow as an artist.